For this wedding, I was asked long before the big day to help out with the planning of how the wedding might run. I visited the wedding venue with the bride and groom and their adorable baby daughter who you can see in the photo above. 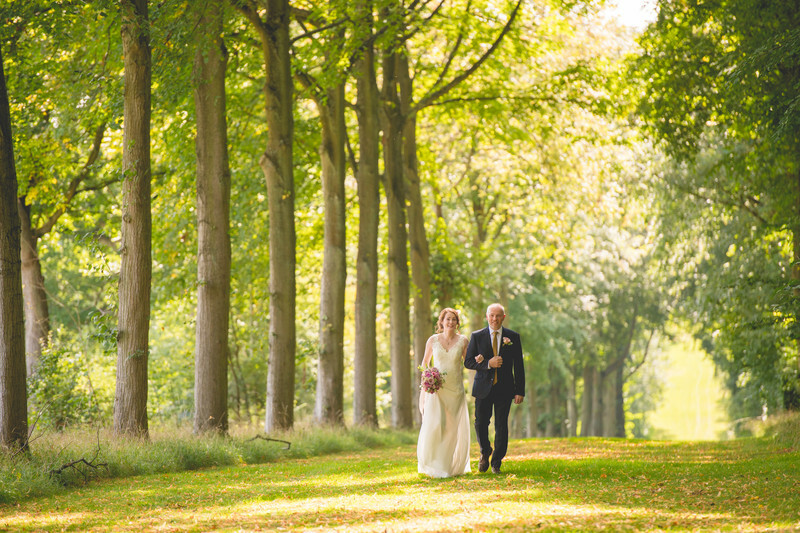 There was a choice of two outdoor wedding ceremony locations, and one indoor location. Despite the wedding being in the middle of August we thought it best that the indoor ceremony room be set up just in case as you can never truly predict the Great British weather! The 'temple' that we selected for the wedding was quite a walk from the main house where the bride had been getting ready in the morning, and had just been interviewed by the registrars. The registrars then took an electric golf buggy the 1000 or so metres to the temple, leaving myself and the bridal party to walk, just had be we planned. The kilometre long lawn gently sloped down, away from the house, before levelling off in the middle and then sloping back up to the same level as the house at the far end. 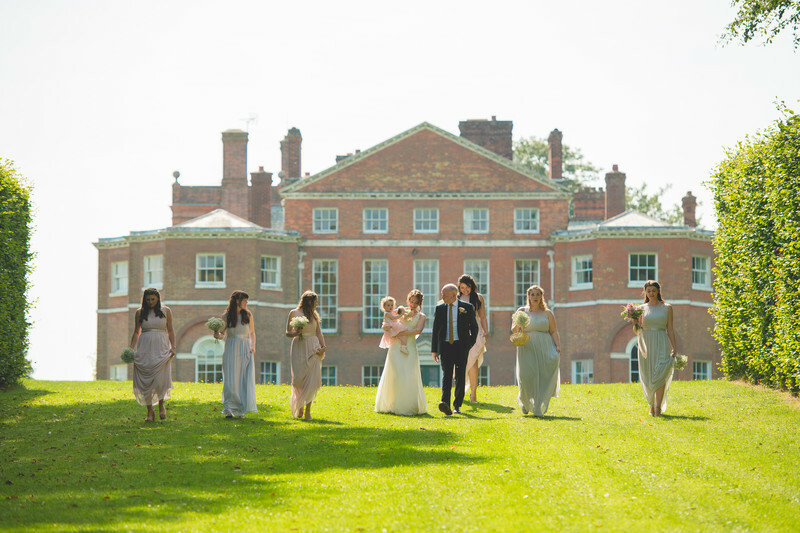 I ran ahead of the wedding party so I was able to photograph the whole group - bride, flower girl, father of the bride and bridesmaids, against the beautiful Manor House background and the luscious green grass. Towards the temple where the wedding was to be held, the bridesmaids and flower girls walked on ahead, leaving the bride and her father to walk the last 150 metres down a tree lined alley alone. It was breathtaking, and one of the best bridal entrances I have ever seen. I am so glad that the bride and groom asked for my input so early on, as their wedding photos really benefitted from this. If you'd like to have a look at a small article I wrote about planning your wedding with photos in mind, please click here.